Hello again, all you enlighted rotbringers or disillusioned loyalists. We’ll be continuing a further break down of the new Death Guard units in the Dark Imperium box for Warhammer 40K 8th edition. You can find Part I of this right here where we look at Poxwalkers and the Foetid Bloat Drone. But right now we’ll be looking into two of the characters in the box, namely the Noxious Blightbringer and the Lord of Contagion. First up let’s look at the Blightbringer. This stinking, bell-toting traitor acts primarily as a buffing character for nearby Death Guard units. He wields a Plasma Pistol along with a Cursed Plague Bell for those more close-quarters confrontations. But strictly getting this guy into combat may not be the wisest move. Positioning is key for the Blightbringer. He provides buffs to nearby Death Guard, allowing them to move faster when advancing and can also lesson leadership of nearby enemy units. The model itself is brimming with all sorts of of detail that is easy to miss at first glance. Sure, you’re drawn to the large Tocsin atop his armour and the dangling Nurgling. But look closer and you’ll see fleets of Nurgle iconography, hidden incense burners within the bells all over the armour and maggots all writhing withing nooks and crannies that you might need to squint to see. He’s an ample manifestation of all things Death Guard. I’m sure as he marches he tolls a jolly tune indeed. Now, let’s move on to the big man himself. 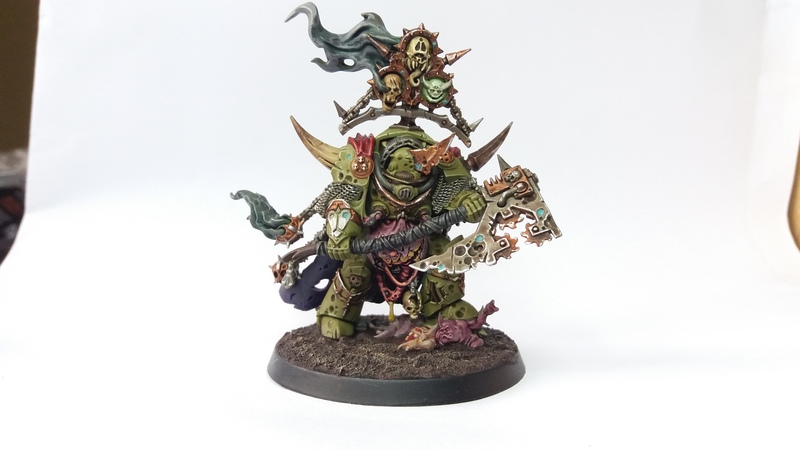 The big, bad, Death Guard boss man himself – the Lord of Contagion. 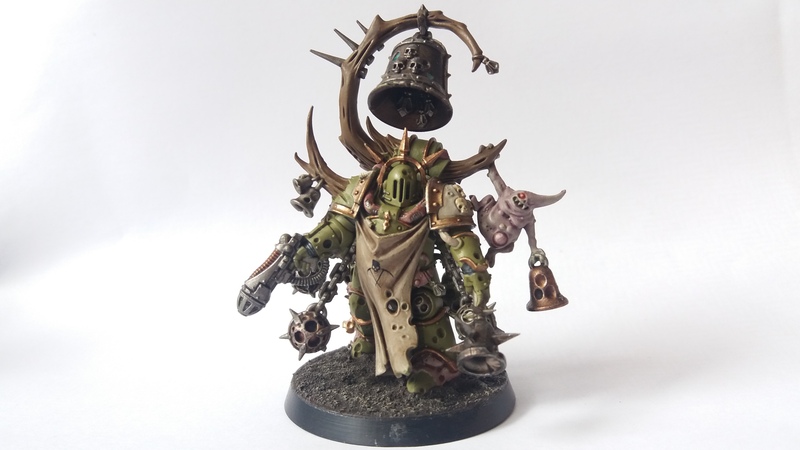 If you ever wanted an HQ unit for your Nurgle Marines that wasn’t Typhus but you wanted something similarly powerful/effective then the Lord of Contagion is the answer to that very prayer. Though, why you’d not want to take Typhus I am completely clueless; I adore that model to bits! The Lord marches into battle carrying a huge two-handed Plaguereaper. This is his only weapon so he has no grenades, no pistols, no psyker abilities. If he’s not in close combat then he’d better be well on his way! His armour makes him incredibly difficult to put down but also slow, but thankfully the option to Teleport Strike is there. Setup/positioning is important for the Lord as even if he’s not in close combat he is able to buff allies that allows them top potentially inflict mortal wounds on nearby enemy units! Check back with us in the very near future as we wrap up with the final two Death Guard units of the box. If you enjoy our content please feel free to support us via our Patreon and don’t forget to visit our Facebook page and give us a ‘Like’!